The Westfield Weavers Guild was formed in 1947 by approximately 12 people interested in weaving and other crafts. The group has since grown to 25 members who meet once a month to study the art of weaving and its related skills. Our purpose is to establish a cooperative learning environment where there is a free exchange of weaving information and where there is mutual encouragement for our efforts to improve our skills and to expand our knowledge of weaving and the fiber arts. We meet the 3rd (usually) Monday evening of the month from September through June. We meet in members' homes within a 50-mile radius of Westfield, NJ. Visitors are welcome at our meetings with prior notice to a guild member and the host of the meeting. The September meeting is a potluck supper and social meeting with a Show & Tell session of members' works from the summer. The meetings through the year are a combination of speakers and hands-on activities. The guild holds an annual Holiday Sale in November. Westfield Weavers is a member of the Mid-Atlantic Fiber Association (MAFA). Active membership in the Guild is limited to 25, currently openings are available. We also have an associate member category. 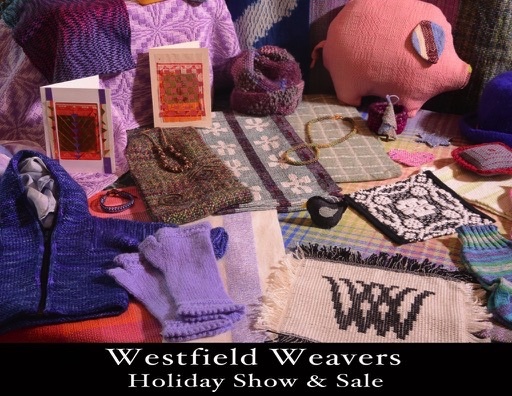 Interested parties should feel free to contact the us at Contact@westfieldweavers.org for further information.